At Zoetrope: All-Story and Francis Ford Coppola Winery, we believe anyone has the potential to be one of the greats. 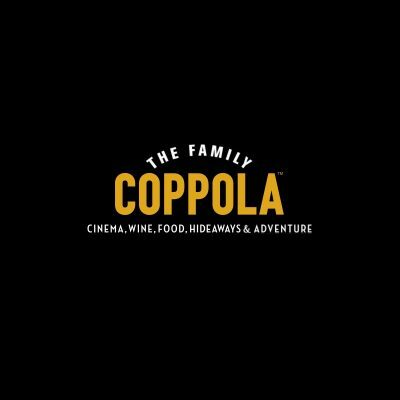 Prove us right: enter your 3- to 10-minute short film in the Francis Coppola Director’s Short Film Competition for a chance to win a $5,000 cash prize and have your film screened at the Francis Ford Coppola Winery lounge at the 2018 Sundance Film Festival! Only one film submission per person will be accepted. Entrants must be twenty-one (21) years or older at the time of entry and legal residents of the United States. Employees of American Zoetrope, Francis Ford Coppola Presents, LLC, and their affiliated companies (hereinafter “The Family Coppola”), and their immediate families, are not eligible. Films must no less than three (3:00) and no more than ten minutes (10:00) long. Films may be in any language, but any non-English-language entries must include English subtitles. Films must be no more than 2GB in file size. Films must be in .mov, .mp4, .m4v, .mkv, or .avi file formats. Films of all genres are eligible. Entrants must submit films electronically through coppolashorts.com. A film submission must be the original work of the entrant and may not include or be based, in whole or in part, on any material for which the entrant does not possess rights, whether that material is published, unpublished, produced, or unproduced. The rights to a film submission may not have been previously optioned or sold. Once a film has been entered in the contest, under no circumstances will the administrators accept substitutions of revised or updated versions. Collaborative work from two or more entrants is accepted. One of the collaborators should serve as the primary contact. Collaborators selected as winners will receive equal shares of the prize money. All entries will be ranked initially by a panel of paid professional screeners, and from among the top contenders the contest judge(s) will award the prizes based on originality of idea, strength of story, and quality of execution. The deadline for entry is September 5, 2017, at 11:59:59 p.m. Pacific Time. Winners will be announced at the 2018 Sundance Film Festival, which is scheduled for January 18 to 28, 2018. The winning entrant(s) will receive a prize of $5,000. The winning film and four honorable mentions will be screened in the Francis Ford Coppola Winery lounge at the 2018 Sundance Film Festival and on affiliated social media channels. With any questions, please e-mail info@coppolashorts.com. Best of luck!